James Ensor, along with Vincent van Gogh and Edvard Munch, is considered a pioneer of Expressionism. But as a creator of fantastic and bizarre images such as The Intrigue, Ensor reveals his kinship to old masters of the bizarre such as Hieronymus Bosch and Pieter Brueghel the Elder. Here, the artist depicted his sister, Mariette in blue hair and green cape, with her top-hatted fiancé, Tan Hée Tseu, a Chinese art dealer from Berlin. 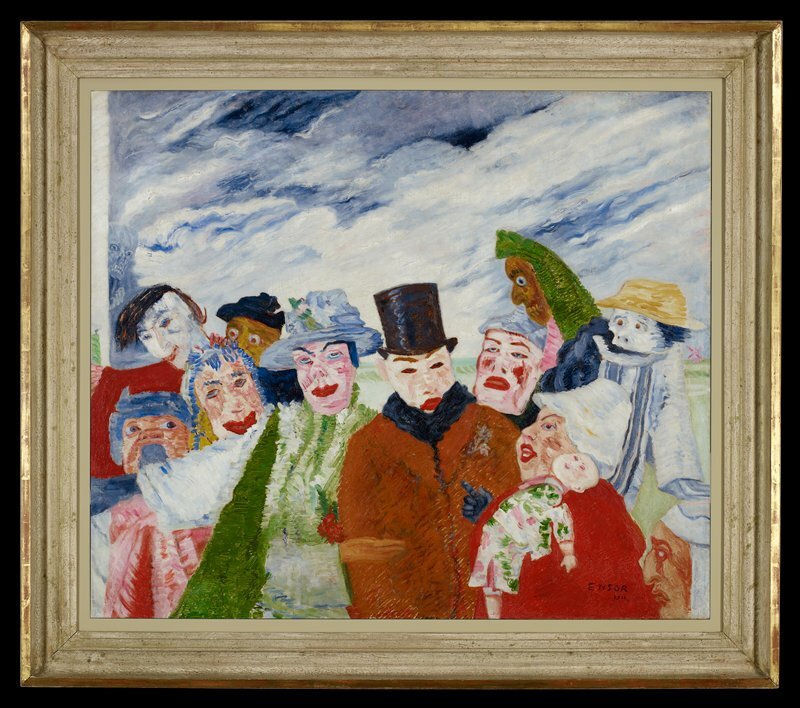 The couple's engagement had caused a scandal in the home town of the Ensor family, and the artist, in retaliation, depicts the town gossips who, disguised in their masks, have come out to point, stare, and laugh at the couple. Gift of Mrs. John S. Pillsbury, Sr.